You’ve seen him in television ads hyping President’s Choice dessert ideas, naming fake supermarkets after enthusiastic customers, sitting down with moms around the kitchen table and talking to President’s Choice farmers on their hormone-free farms. He’s Galen Weston Jr., executive chairman of Loblaw Companies Ltd. And while he, or his media handlers, hone the image of Galen among the common folk—top shirt button always undone—the reality is that he’s next in line to head Canada’s second-wealthiest family, with a 2014 net worth of $10.4 billion, a 26-percent increase over 2013. The Weston family does many good things with its vast fortune, such as fund health research, university scholarships and private land conservation. At the same time, though, it has probably done more to undermine public education in Canada than anyone else. The family foundation has donated nearly $22 million to the Fraser Institute for its programs to destabilize the public education system and promote school choice and vouchers. Milton Friedman was the inspiration for these programs. His 1995 Washington Post editorial said it all: “Public schools: Make them private.” And that’s what the Weston-Fraser partnership has set out to do. Three years after Friedman’s call to arms, with Weston funding, the institute began manufacturing report cards that rank secondary and elementary schools in British Columbia, Alberta and Ontario. Each year the rankings find private schools that control entry and schools in wealthier neighbourhoods top the list. Weston provides awards for these schools and for those that show the greatest “improvement” from the previous year, “encouraging educators to recognize the benefits of productive competition among schools,” as Friedman advised. Even though the methodology is deeply flawed, the rankings are an unqualified success, as real estate agents tout properties near high-ranking schools, mothers-to-be discuss where to buy houses, and divorcing parents fight over child custody based on which parent lives closer to a higher-ranking school. The Fraser Institute brought choice and competition into the public education system; there’s no going back. In a second program that lasted nine years (2003 – 2012) and accounted for nearly half the funding, Weston financed the Fraser Institute’s school vouchers program, that sent disadvantaged children to private and religious schools in Ontario. The program was called Children First, implying that in the public system teachers and bureaucrats, and not children, come first, as Friedman claimed. Weston money supported them to the end of Grade 8. What happened to them after was someone else’s problem. 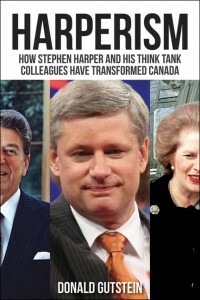 The Fraser Institute’s ability to obtain such vast sums from Weston may hinge on the fact that two Galen Weston cousins are Fraser Institute directors. They’re also on the board of the family foundation that doles out the money. Does your consumer spending contribute to these attacks on public education? The Weston fortune comes from food wholesaling (Weston Foods) and retailing (Loblaw, Real Canadian Superstore, Provigo, T & T Supermarket, Zehr’s). In 2013, to fend off the Wal-Mart challenge, Weston paid $12.4 billion for Shoppers Drug Mart’s 1300 drug stores. With the school rankings established as an everyday fact of life in Canada, the Fraser Institute is leveraging their success. In 2013, Weston money opened the Barbara Mitchell Centre for Improvement in Education. Barbara Mitchell, who died in 2001, was Galen’s aunt. “Improvement” apparently has a different meaning for the Fraser Institute and the Westons than it does for most teachers and parents. For the Fraser, improvement means more school choice. Charter schools where are you? It also means improved teacher “effectiveness.” And that means rewarding schools whose students do well on the Fraser Institute’s rankings. Give block grants to these schools, one recent Barbara Mitchell Centre study recommends. Principals can then dole the money out as “merit awards” to teachers they think are doing the most to boost test scores. The study also recommends that principals be empowered to hire and fire teachers. Get rid of those teachers with low test scores and build “winning teams.” That would transform principals into mini-CEOs of enterprises—formerly known as schools—engaged in a life-and-death struggle for dominance in the rankings. It sounds preposterous, but in the early years skepticism also greeted the school rankings. Such a situation could lead to a new ad with Galen Weston in a classroom—top button still undone—touting the test-score-boosting ingredients in President’s Choice products.